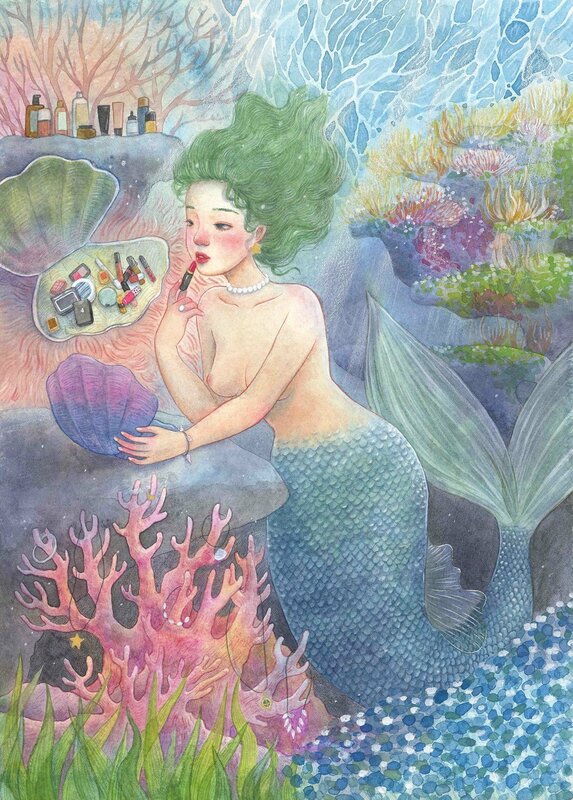 YuanChi Chang Illustrator from Taiwan - her creations will make you feel touched. YuanChi, born in 1994 and living in Taiwan. She became a full time illustrator since her first picture book that was published in 2017. 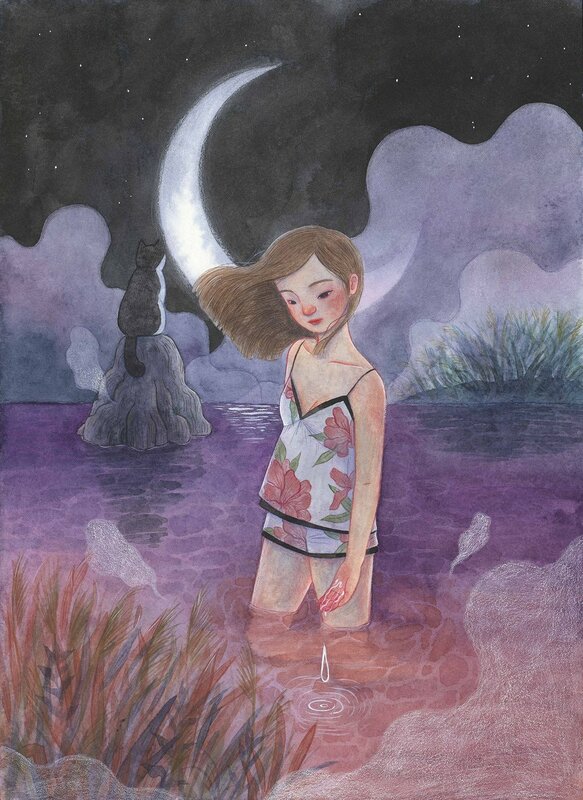 Most of her works are painted with watercolor. "I love the texture of paint and papers. I often draw young women, cute animals, and beautiful landscape." 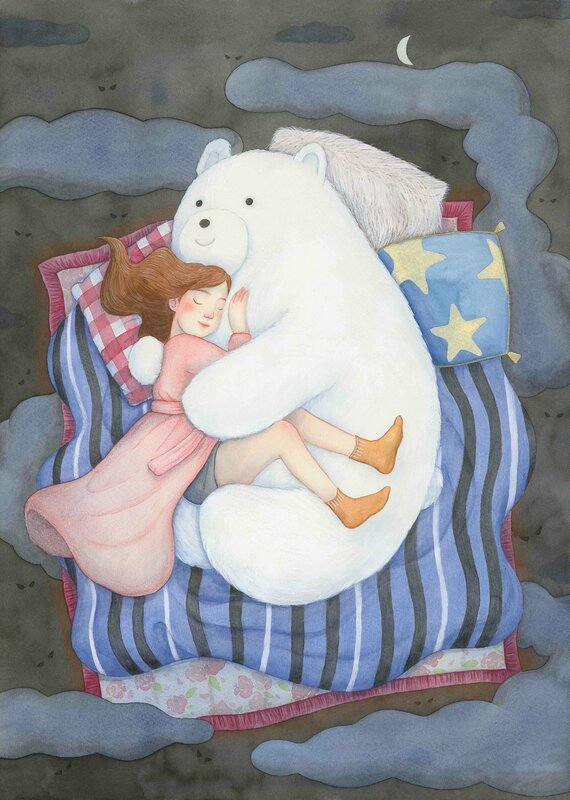 YuanChi tells us that people feel that her artworks are full of warmth, therefore, she decided to create more affecting illustrations, and write inspiring stories. Besides, she is also a cat lover, she has two adorable cats, they often show up in her works. 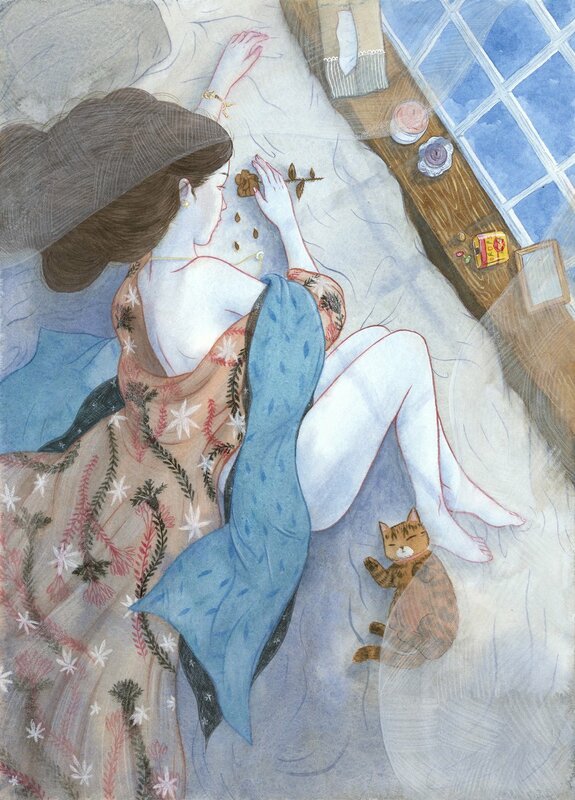 “Heartbreaking” is an illustration about a woman filled with sadness. I thought of this scene once I was also really sad. I don’t feel like to do anything or going anywhere, just wanted to lie on bed forever. Fortunately, cats are also a kind of animal which can sleep whole day, their accompany made me less lonely. It was sad, but warm and peaceful. It is exciting! It’s really a happy thing that my artworks are liked. What are you looking forward to it most at the Global Art Awards Ceremony? I’d like to know more artists from world, and I wish I can let more people know about my country, Taiwan. I must be shocked! I think I will cry. I think me and my artworks are alike, we have harmless appearance, but contained complicated emotions inside. I like to draw things since I was a baby, it’s my favorite thing, so I wish I could become a professional. Also, my family gave me a lot of supports, I wish I could make them proud. And the most important thing is, I have stories to tell. Creations which make people feel touched. My characters are based by me, my pets, or people I knew. My stories are about things I’ve met or heard. And I capture beautiful designs from some famous brands. My favourite Artist of all time is? I think regular working is good for artists, with good spirits, we can create better artworks. I’m still working on it. Where do you see your art going in ten years? I think I will write a lot more story books. And I’d like to show my artworks to the world, not only in Taiwan. Can you tell us what you have going on right now? I am trying to publish a new picture book by crowd funding. Apart from this, there are some cases cooperating with brands and social institutions. Before I die, I want to try parachute jumping from an airplane. I know my artwork is finished when…? When I couldn’t find any place to paint. There’s a children’s book commissioned by a famous publisher, the story is about an older cat which want to throw away the younger cat, but they finally become good friends. I like it because the story is warm but naughty, and the publisher gave me a lot of freedom to work on the paintings. Which are your favorite artists? I love animation artists like Hayao Miyazaki and Makoto Shinkai, their works are epic. Also, I love impressionism artists like Monet or Renoir, their paintings are about daily life, but beautiful and touching. I’ve wrote a story called “Mon-Mon and his dinosaur friends”, which is about how to understand people who are different from ourselves. It’s telling some serious society issues, but it’s cute enough to let people accept.